The packaging certainly shows the size of this stereo system. The long box is stylish in design and when opened it was packed carefully and in a way that the product would not be likely to be damaged in transit. The instruction manual was on top, and the remote came with a separately packed battery – make sure you find it before you throw the packaging out as it is very small. It was definitely much larger than expected, although this was not an issue for me as I own a large TV stand. Plus, while it may appear a little bulky initially, the sleek black design works well with any home and it will blend in with your TV area in no time at all. The glass on the top is hardly noticeable, and it definitely can hold a lot of weight. 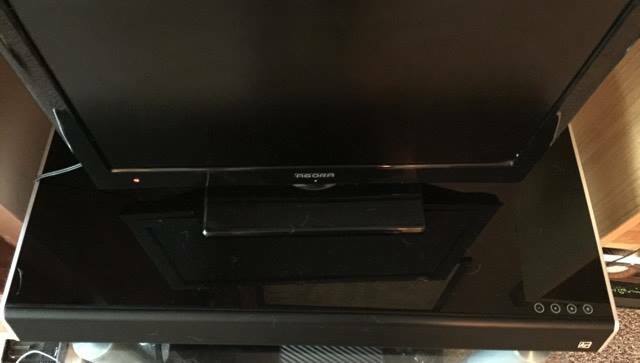 Currently, a 25-inch television is sitting on top of it, but it was also tested with the 50-inch television that will soon be replacing it. The touch screen controls along the top of the stereo system are excellent for powering the machine on and skipping through tracks when listening to music. However, it would have been good to have the other controls that are found on the remote available on the touch screen (these are the music and film sound settings). The power button on the touch screen does require a slightly heavier touch, but it is generally responsive and works well. The Bluetooth capabilities are absolutely fantastic. It quickly pairs with devices that have Bluetooth activated so that music can be played through the system. This part of the system is easy to set up and takes hardly any time. When it comes to the initial set up it can be a little tricky as the instructions are not particularly detailed. However, if you are a bit tech savvy it will be no problem for you to do. It is advised that you ensure you TV is compatible with the system before purchase, however. The vast majority of television are, but it’s still worth checking. For a home cinema stereo system, this model is considered to be on the cheap end of the price spectrum. As a result, it might not be expected to offer a great quality of sound. In fact, I initially thought this as well due to the fact I could her nothing after it was set up. However, it turned out I was pressing the wrong setting on the remote. I am not exaggerating when I say that I was blown away by my first experience with the sound produced by this machine. Once I clicked the correct button (the movie setting) and the volume came on, it felt like I was sitting in the cinema watching my favourite film (for those looking for the best first film to watch, T﻿﻿he Lord of the Rin﻿﻿gs trilogy is amazing with this system.). It was incredibly crisp and clear, with no vibrations and the sound did not break at any time. I found that the best sound came from an optical connection, but the auxiliary one still sounds fantastic. The sound is so clear that you can focus on individual instruments when music is playing, and everything is so much clearer than when you watch it with the regular sound from your television. An example would be that when watching The Lord of the Rings, I was able to hear sections of the soundtrack that I had never noticed before. It really renewed my film watching experience and brought it to life. The sound system works fantastically with Bluetooth connections to phones and computers as well. The music setting on the remote brings the sound straight to you through the speakers. The quality is just the same as the movie setting, a crisp and clear experience that also allows you to hear pieces of the music you haven’t heard before. Additionally, you can control the bass and treble, and the built in subwoofer offers an excellent sound experience that really adds to the overall quality. The volume can be controlled via the remote, and while it is limited to two settings (movie and music), you really don’t need much more. The system is great for a movie night with family and friends as it really does recreate the experience. The remote has a slightly flimsy feel and it has to be pointed directly at the system for it to actually work, but it does a good job and can be used to adjust the bass and treble. It should be noted that it cannot be adjusted by much, but it gives you something. Using the remote to have a fiddle with the settings allows you to tailor the sound experience to your personal tastes. 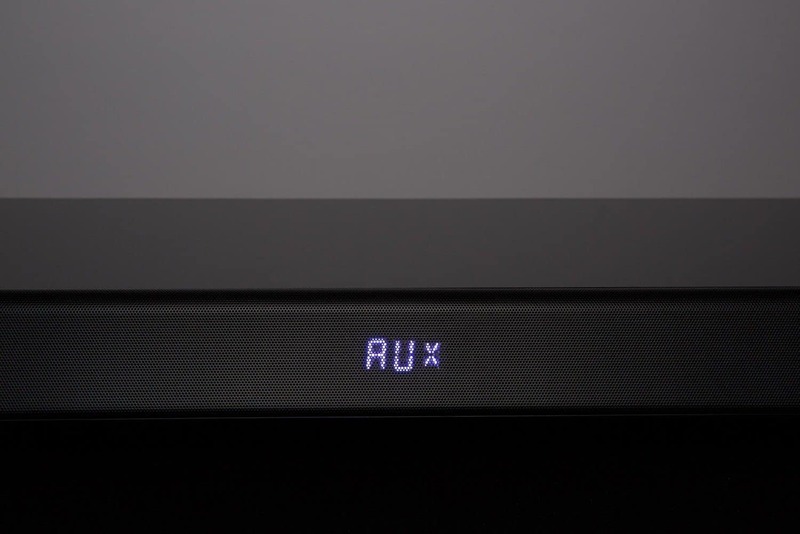 Even at lower volumes, this soundbase still offers an exception level of sound quality. This is impressive compared to other makes and models, which only usually offer great quality at higher volumes. To sum up the sound quality, it is exceptional and definitely worth every penny. 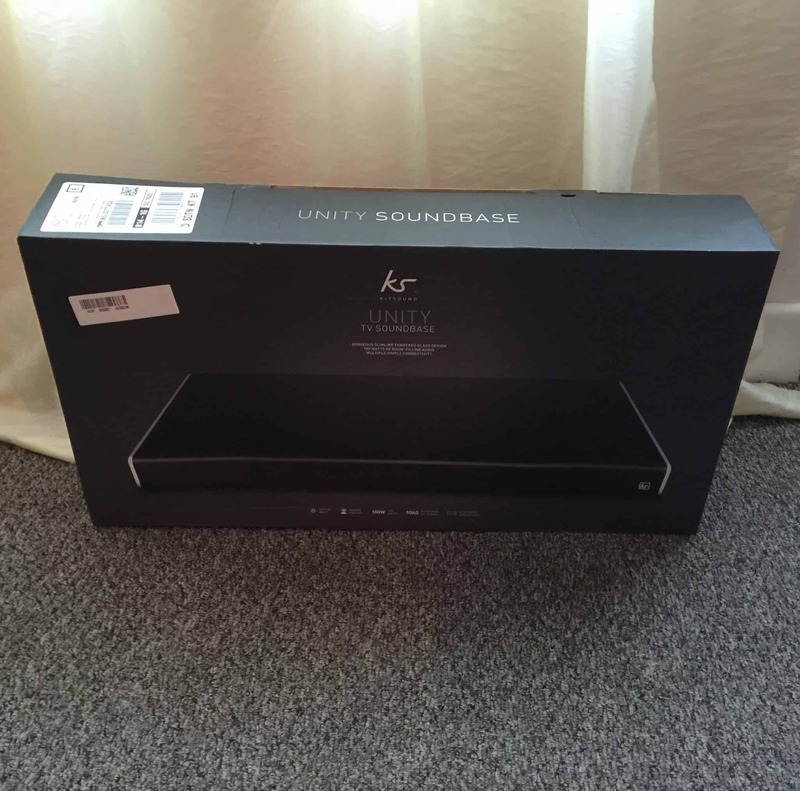 If you are looking for something to enhance the sound on your television, then you should strongly consider purchasing this soundbase. With exceptional quality of sound and fully adjustable settings, it allows you to create a tailor made experience. You are able to hear things you never noticed before in film and television, something that has not only gripped and surprised me, but the vast majority of people who have used this system. The sound is so clear that you can pick out individual instruments that are playing and hear whispers in the background that are usually less audible on a regular television speaker. Even on the lower sound settings you can still hear more clearly than ever. When it comes to listening to music, the experience and quality are much the same. Whether you are streaming the music online from websites like Spotify, or simply playing it straight from your phone or PC, it offers an excellent experience. Everything is clearer, crisper, and far more enjoyable than before. If you have plans to host a film night or even have some friends over for a party, then this could be your key piece of entertainment for the night. With adjustable bass and treble alongside the built in subwoofer, you can create an unforgettable music or movie experience that they won’t soon forget. So if you are tired of poor quality sound coming from your television, then this is exactly what you are looking for. This device does have its flaws, especially with regards to its size and the sometimes fiddly process of setting it up. Of course, the actual remote has a couple of difficulties as well, especially when it comes to the necessity of pointing it directly at the soundbase for it to work. However, despite these minor issues, the system is a producer of incredibly fine sounds – ones that you would expect from a much more expensive machine. The quality of this sound system rivals that of its pricier counterparts, taking the market and customers by storm with its exceptional sound and incredibly reasonable price. It is a fantastic model to buy and can suit a range of occasions – from a movie night in, to a wild party in your home. With adjustable settings you can have the perfect sound for you, and exactly the way you like it. It’s powerful, personal, and provides sound that is completely out of this world. 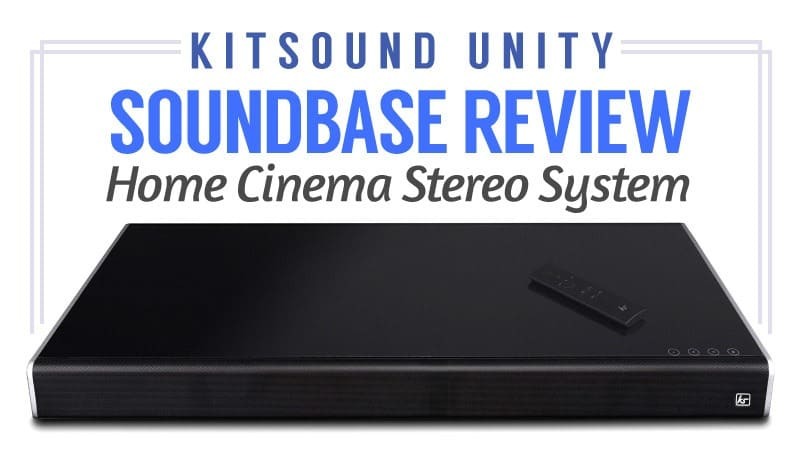 If you make one luxury purchase this year, it should be the KitSound Unity Soundbase Home Cinema Stereo System. Q: Is an optical cable included with the product or is it necessary to order one separately?